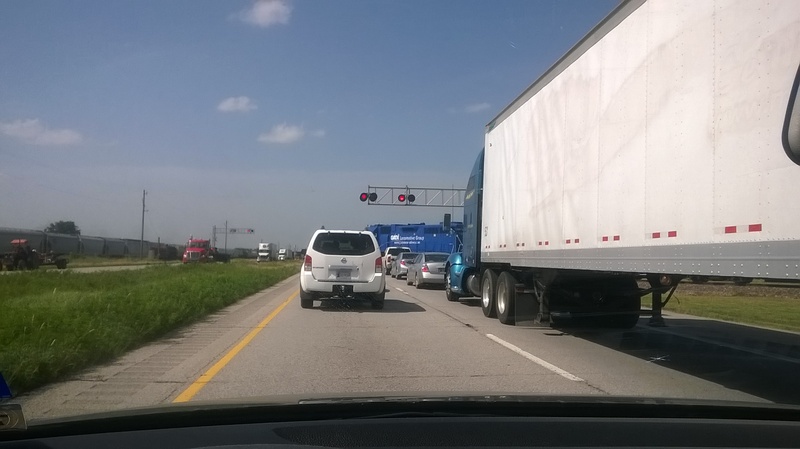 We drove over 1,300 miles from Corpus Christi, Texas to Rockford, Illinois in about two days. So far Texas has the fastest highways. One can drive almost 85 mph on major highways/Tolls in Texas, but when we hit Oklahoma it was 55-60 mph through THE ENTIRE STATE. No joke. Border to border. Their toll road was only 70 mph. Good grief, why would I pay money to drive 70 mph? We hit some major storms from St. Louis, Missouri to almost Rockford, Illinois. A tornado took out a small town (Coal City?) and we were on tornado stand-by for well into the evening. 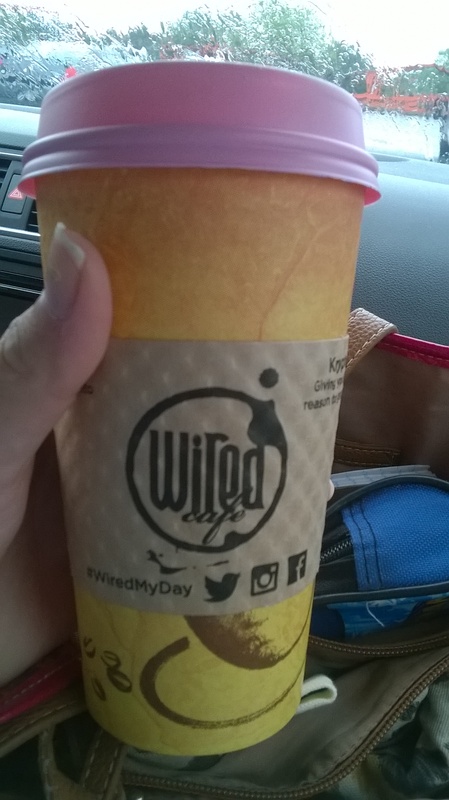 But, that didn’t stop us from picking up a coffee at the Wired Café. Which, by the way was the strangest coffee shop because it closed at FIVE. We got there at 4:50 and had to drive around downtown Rockford and kill time until church started. But seriously, five o’clock. 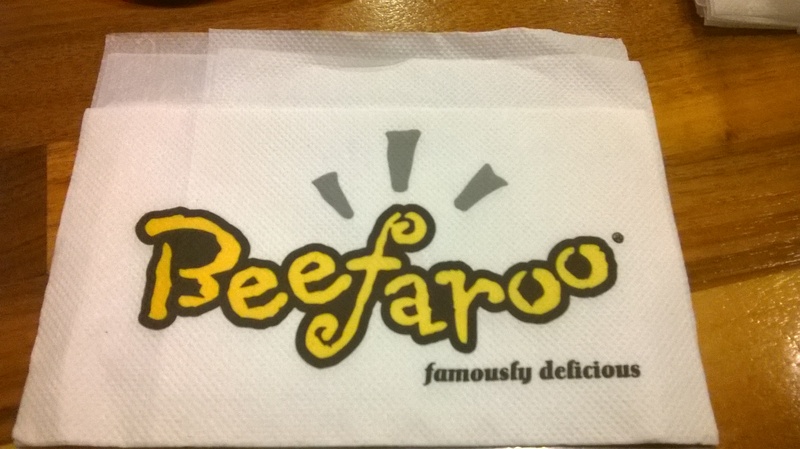 After the evening service at North Love Baptist Church, we headed out for dinner and stumbled upon BEEFAROO, which I kept calling Moo-and-chew that got us lost twice because it wouldn’t populate on our GPS. Obviously. Beefaroo was sort of like a Chipotle that serves sandwiches instead of burritos. We start our training for Reformers Unanimous tomorrow at 12:30 which means we can sleep in, eat a late breakfast, and maybe hit up Half Price Books OUTLET before class starts. Recently I was gifted a pink A&W Sizzle Stix from my father who has an impressive collection of fountain pens himself. 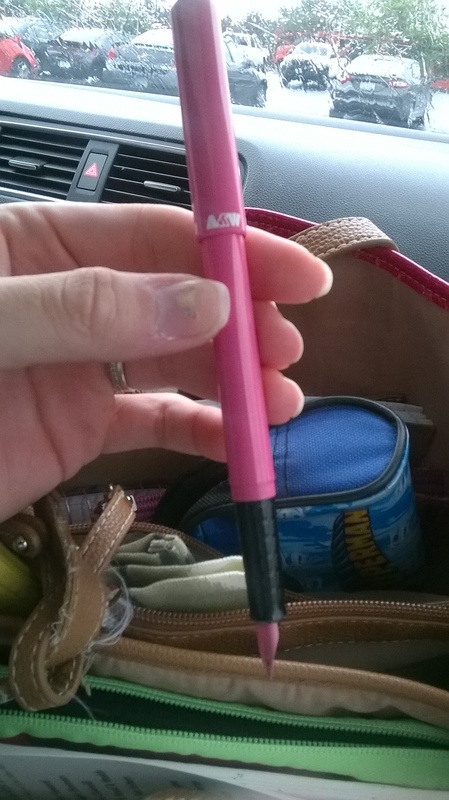 According to the interwebs the A&W pens were a run of the mill, less expensive fountain pen circa the 1980’s-90’s. Probably below $5. This one has a fine nib and I filled it using a cartridge of black (Obsidian) ink. I’m really enjoying the way it writes. It glides across the paper nicely and makes scratchy sounds, which I love. My favorite feature is that it’s pink, but more importantly it has a small pink nib. It’s a bit on the skinny side as far as my pen girth preference goes, but it’s fun to write with. Twist cap with a A&W’s fat, funky logo still intact on the cap of the pen. Rubber grip feels great on my fingers. Fine point nib that rarely catches while writing. I’m writing on Fabriano journal paper. 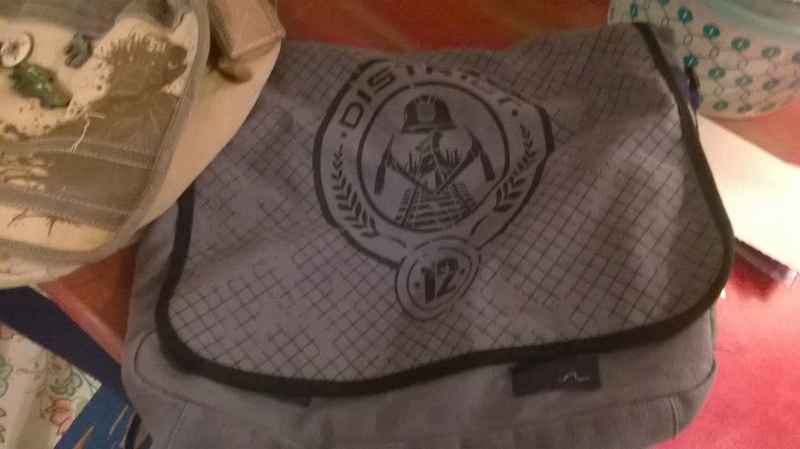 I can’t even believe these exist! I was casually strolling through HEB (our local grocery store) and took a right into the school/office supply aisle just to peruse. 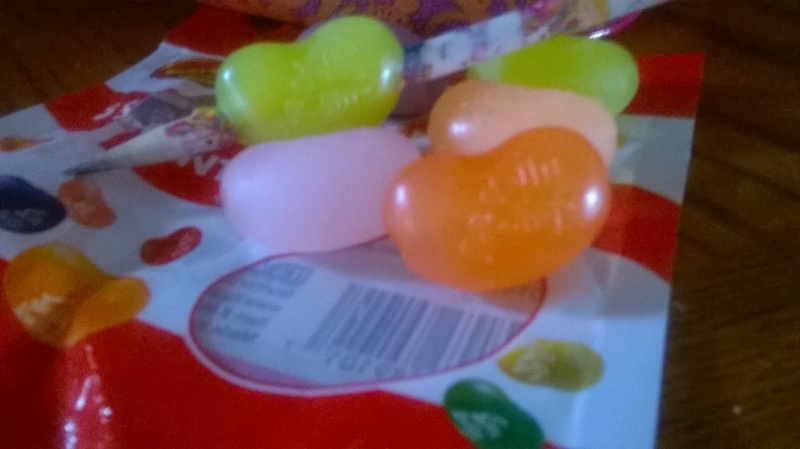 I almost walked away empty handed and then I saw this: Yes, it’s a bag of Jelly Belly jelly beans… or so I thought. 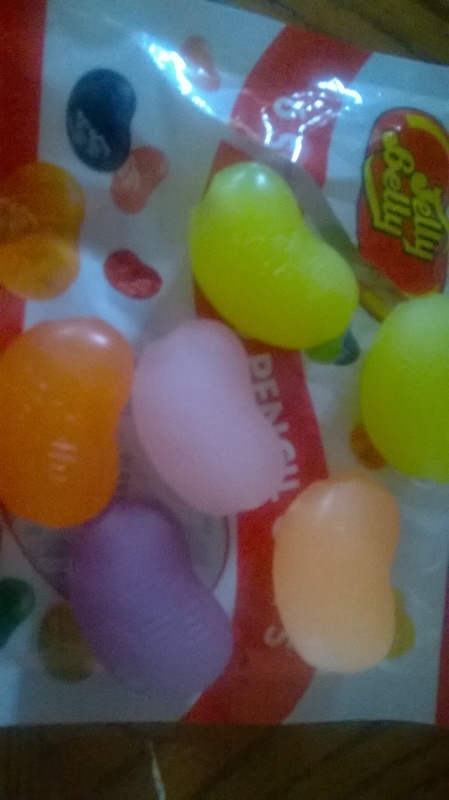 I thought to myself, “Why in the world would they put bags of jelly beans in the office aisle?”. But, it gets better! These aren’t delicious snacks! They’re pencil grips! 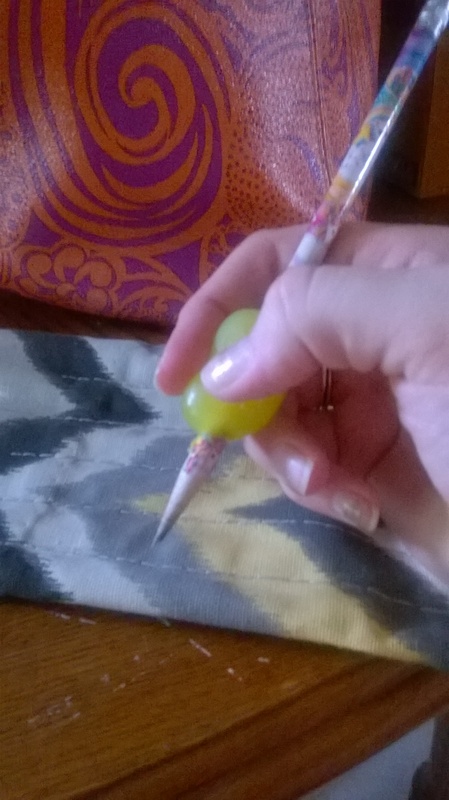 Guys, they’re PENCIL GRIPS! 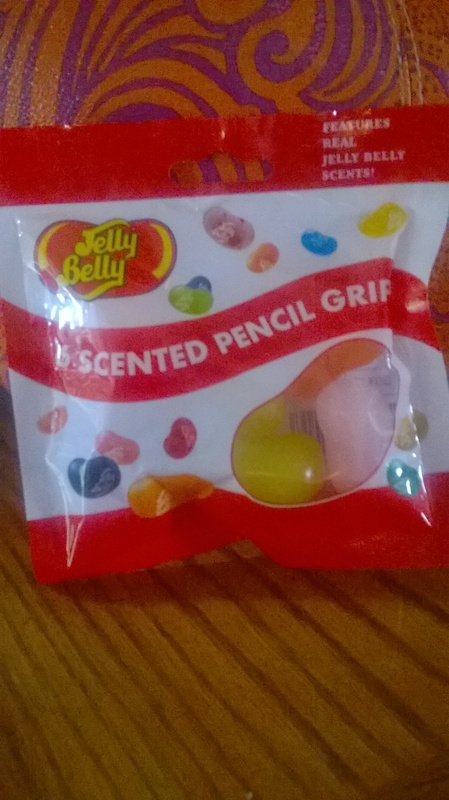 I’m a child, I know, but this big kid has Jelly Belly pencil grips and you don’t! Plus, they SMELL! They’re scented! 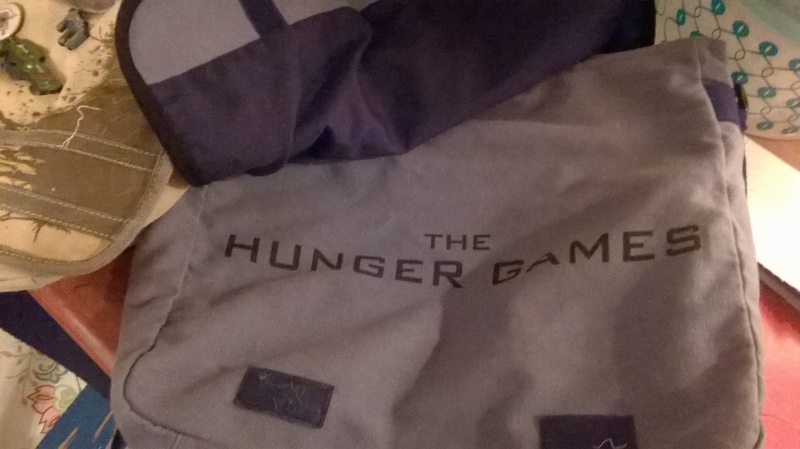 Not to mention they’re super comfy and fit over standard pencils and ball point pens. Enjoy! 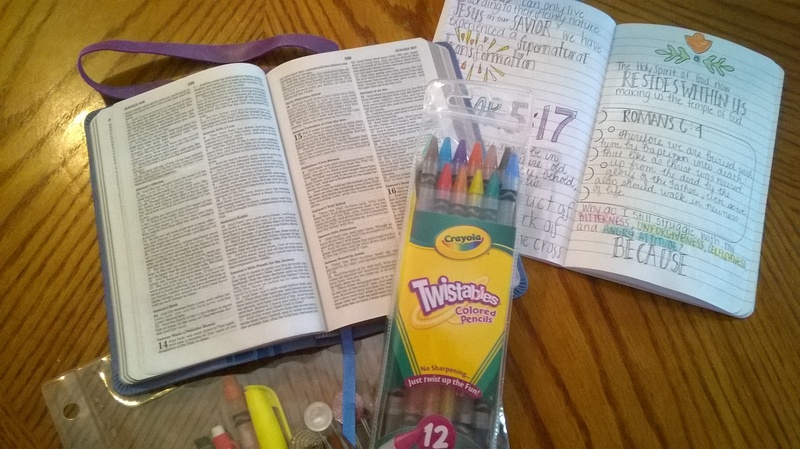 Crayola Twistables for Bible Highlighting! 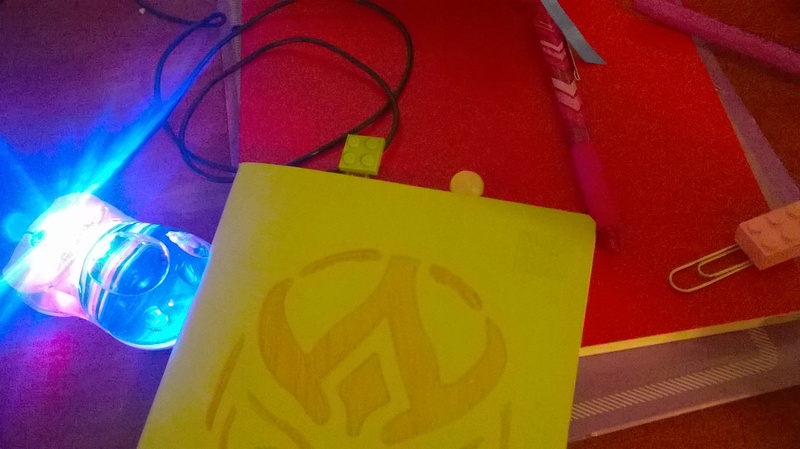 I recently discovered Crayola Twistables as a perfect substitute for highlighters when marking in my Bible. 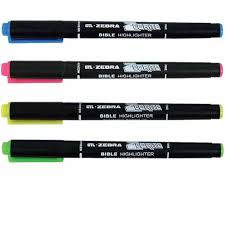 Usually I use Zebrite brand Bible highlighters, which I love! Don’t get me wrong, the broad tip on one end and the super fine tip on the other is near perfect. Those highlighters don’t bleed, either. But, BUT, I am one to assign a color for everything when I study my bible. There just aren’t enough Zebrite colors for me to use, plus, I get a much finer line with the Twistables. While Zebrite is $1.99 per marker, Crayola Twistables are roughly four dollars for the pack. 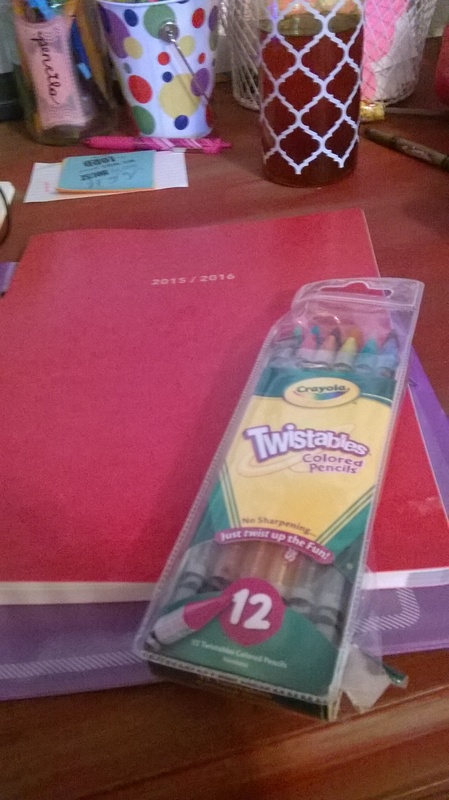 There are bigger packs of Twistables with more colors available, but this momma is on a budget. Zebrites are a splurge for me. 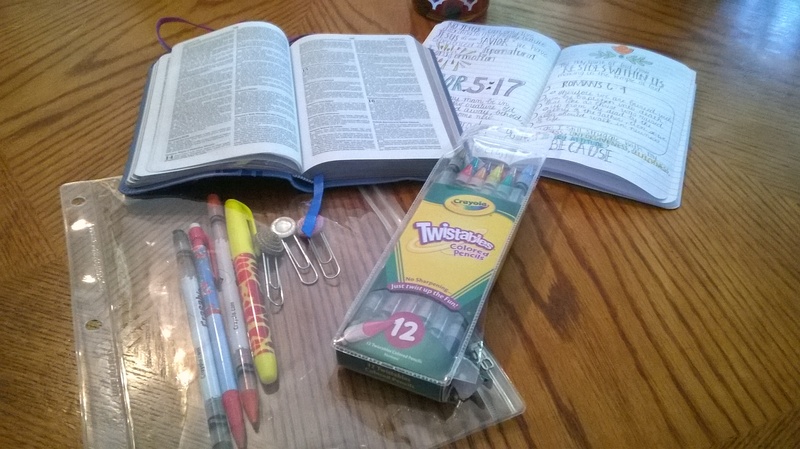 Another thing I like to do with my Twistables is something called “Scripture Journaling”. If you look it up on Pinterest or Google it most images are of drawings in the margins of the Bible, but that’s something I can’t bring myself to do. So, I went to Michaels and bought a fifty cent journal and that’s what I use to take notes and journal and draw as I study God’s Word. If you’re like me, you’re a visual learner. I retain more information by journaling through the scriptures. It’s a wonderful way to spend time with the Lord and use your creativity to honor Him. Twistables are great because they don’t bleed through the onion skin pages nor do they smudge after closing your Bible. The colors are vibrant enough to recognize whatever color coding you’re using. They don’t bleed or rub off! 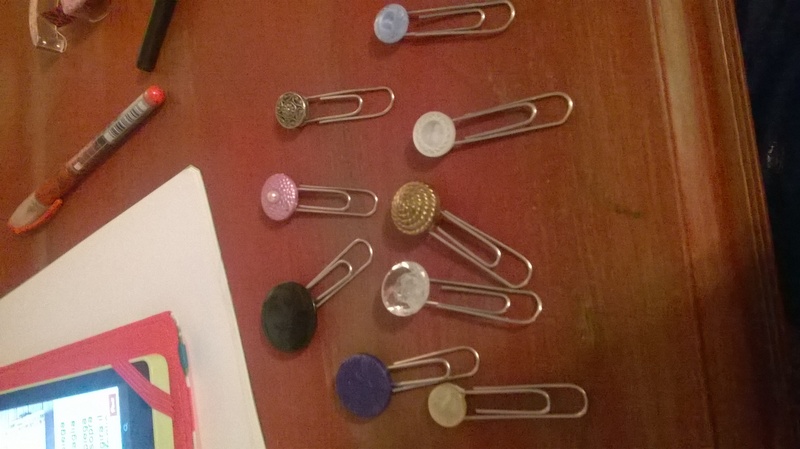 I’m so proud of my paperclips that I absolutely HAVE to share them with you! 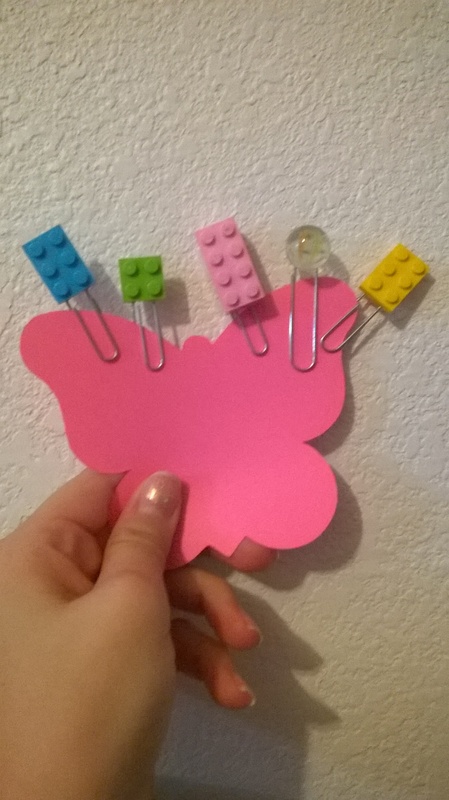 What started off as a pin turned into a bunch of cute office supplies for me! Buttons, legos, doo dads, jewels, marbles, etc. Basically anything you can glue to the top of a paper clip. Get your glue, grab a paperclip and a doo dad, and get to work! 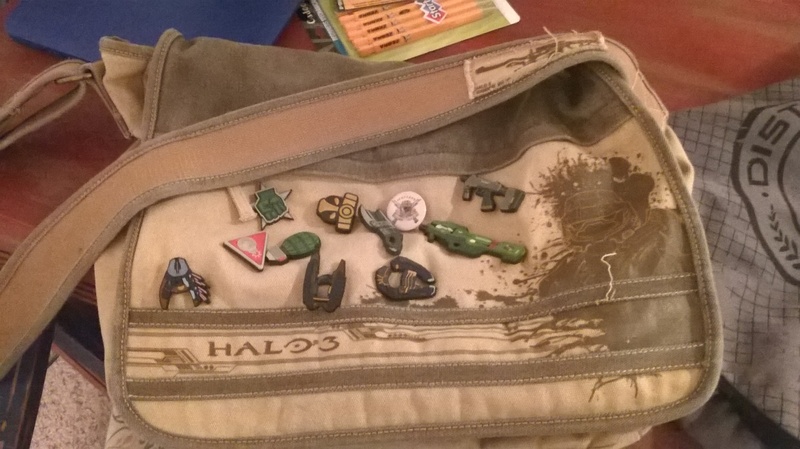 If using a button and hot glue (like I did in my first batch), you might want to use a bit of fabric to cover the backs so the glue doesn’t show. I used super glue on the legos, but I’m sure hot glue works, too, and add a bit of fabric to the backs to cover the glue. I used super glue on my second batch because I wanted to compare it to the durability of the hot glue. Plus, the superglue dries clear! The clip is pretty much welded on. 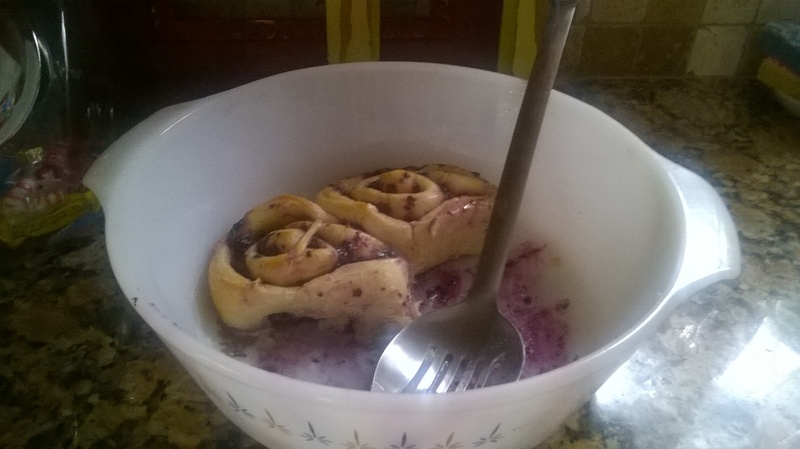 This morning I made a delicious treat for the fam: fruit swirls. This is a simple recipe (if you don’t mind using a bit of yeast) and takes only a little time to make. I use a simple bread recipe that I got from the Duggar’s first published book: The Duggars: 20 and Counting! It’s their dinner roll recipe and maybe you’ve heard them affectionately called “Duggar rolls”. Well, I use this recipe for just about anything bread from pizza dough on down to cinnamon rolls. It’s quick and you don’t necessarily have to let it rise in the traditional sense. There’s no punching down the dough and minimal kneading. Beat 2 eggs in 2 c. measuring cup. Fill cup to 2 cup mark with hot water. Pour over dry mixture. Cover. Let Rise 20 minutes in warm oven. Pour onto floured surface. Knead. Flatten with hands into large pizza shape. Cut with pizza cutter into16 slices. Roll up from wide end to point. Place in greased pans leaving space for rolls to double in size. (can shape like crescent or lay on side where swirl shows.) Cover. Let rise in warm oven at least 20 min. Remove from oven. Preheat oven to 375F. Bake 20-30 min. depending on how dark you prefer. Immediately brush with 1 stick (1/2 c.) melted butter. We’re going to drizzle icing on it instead! I typically cut the recipe in half for our family and use the whole recipe if cooking for guests. You get A LOT of dough from half. Don’t be afraid to add more flour little by little. The dough will initially very sticky. Coat your hands in flour before working with the dough. You want the dough pliable, but not sticking to everything it touches. PRO TIP: This dough is the best if you let it relax in your fridge overnight. Put it in a bowl and secure saran wrap over it. The dough is easier to manipulate this way. It works same day, too, it’s just more work. Make the dough like the recipe says (omitting the crossed out parts, of course) and pre-heat the oven to 375 (per recipe suggestion) and when you roll your dough, don’t roll into a large pizza shape. Instead, roll it into a large tube. Then, take your pin and flatten the tube. You’re going to need some fruit. So far I’ve used strawberries and blueberries, separately. I use an Oster blender with a food processor attachment. I dump a bit into the processor (depending on how “fruity” you want your rolls) and leave a bit to the side for decoration and munching while cooking. Puree it on a low setting. You want it chunky. After the tube is flattened to your desired width, spread some butter all over the dough. Then take some granulated sugar and sprinkle it all over your dough– don’t be shy with it! Tailor it to how sweet you want your swirls. Then spoon drop the fruit goo onto the dough. Spread it around evenly. Now here’s the fun part: rolling it up! Start from the end of your choice. And roll it slowly, trying to keep as much of the fruit goo inside your roll up as you can. If your workspace is floured enough your dough should roll nicely. One time I had to use a spatula as I rolled to scrape dough off of my counters… I don’t recommend that to anyone. Next, grab a pizza cutter (it’s what I use to cut up just about anything) and slice to your desired thickness. You can use a knife, but it needs to super sharp and not too serrated. Don’t slice too thin or your fruit will fall out, and not too thick or your rolls will close in over themselves when they rise in the oven. Just eyeball it, you’ll see what I mean. As you cut each slice, lift it up and place into a greased baking dish of your choice. You want them snug, but not on top of each other. Put them in the oven for about 25 minutes. The recipe says to bake 20-30 minutes, but I go with an even 25. Perfection every time! While your swirls are baking go ahead and make your icing. TWO INGREDIENTS! MIX MIX MIX MIX and get the clumps out. When your swirls are finished baking (you want them slightly browned on top), drizzle the icing all over them making sure to get it in the cracks and crevices of the swirls. Add some leftover fruit if you have some. (I usually don’t because between the kids and me snacking while baking there’s rarely any left!) I plunk pieces down randomly over the tops of my swirls. And there you have it: Fruit Swirls!